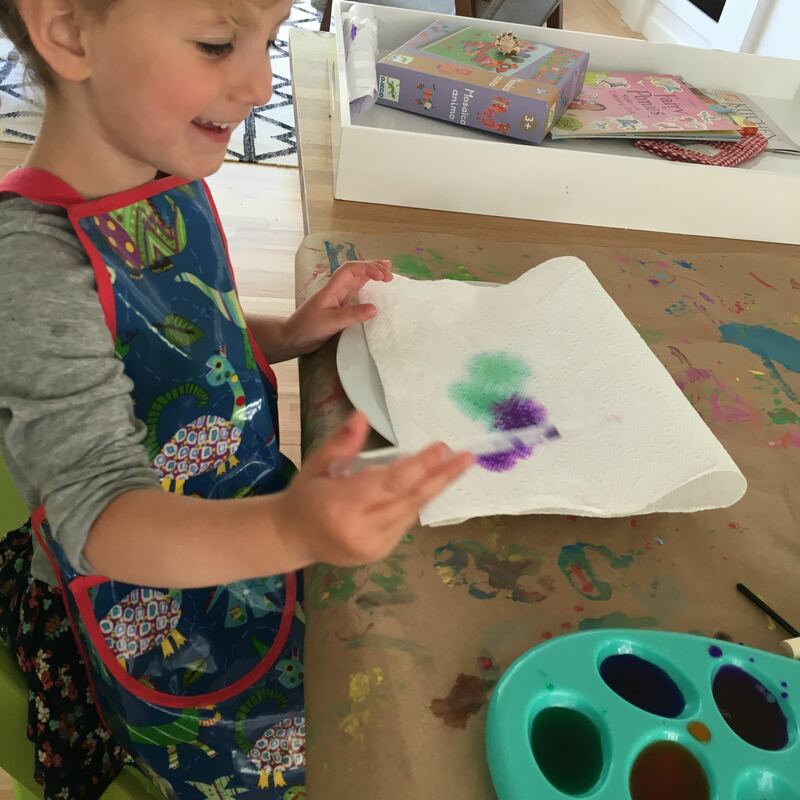 Smug and lazy toddler art (the best kind) normally requires simple premixed poster paints that are totally washable: but on occasion, pulling out some liquid watercolours is an excellent afternoon decision. Particularly on those days that start at 4am. Anyway. Liquid watercolours are offputtingly expensive and only available online or in art shops as opposed to your local crayola paint stocked supermarket so I was pretty late to the party, but now I’m a total convert. They come in tiny bottles but last for ever (especially if you’re lazy enough to only use them sporadically). 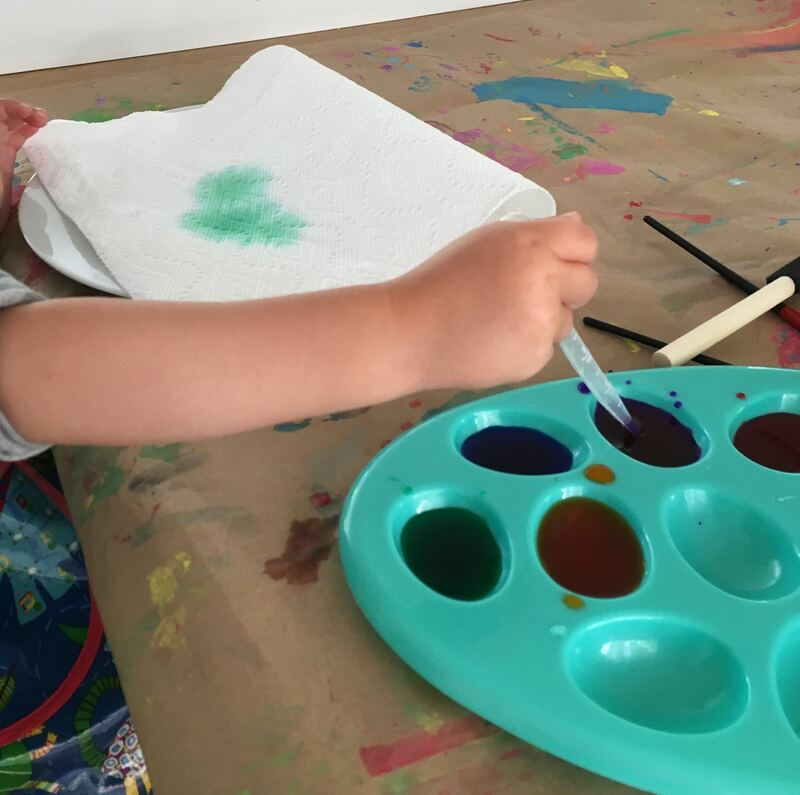 They produce pretty lovely paintings even for the under-five set, so an excellent option for making pictures for relatives that they might actually want to display. And there are lots of ways to use them. (This site has some lovely ideas). 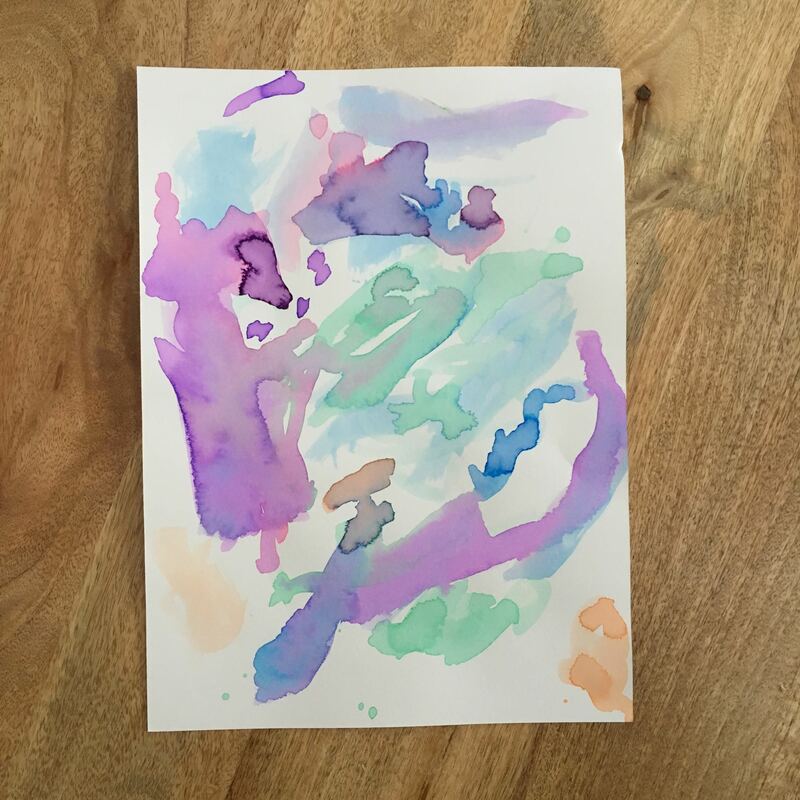 We stuck to simple watercolour paper today though, with my three year old’s first efforts. 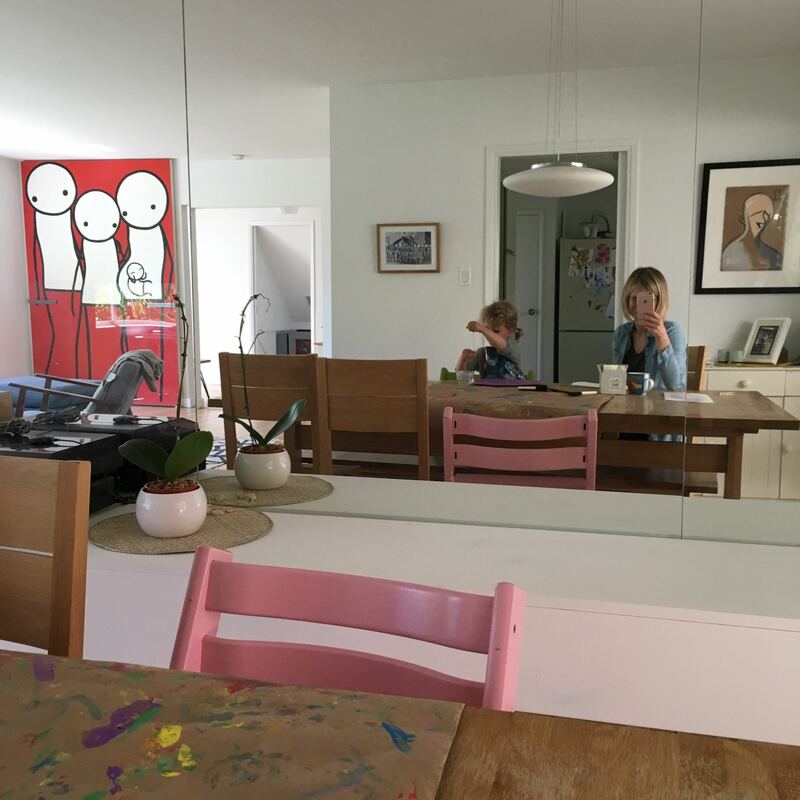 I’m also not sure I would necessarily recommend these for younger toddlers, given they are less reliably washable, unless you have an art space that is a little safer than our dining table, surrounded by white walls, white furniture and pale wood – a nerve wracking endeavour. Anyway, watercolours: in this case the secondary activities ended up being far more absorbing (ha). 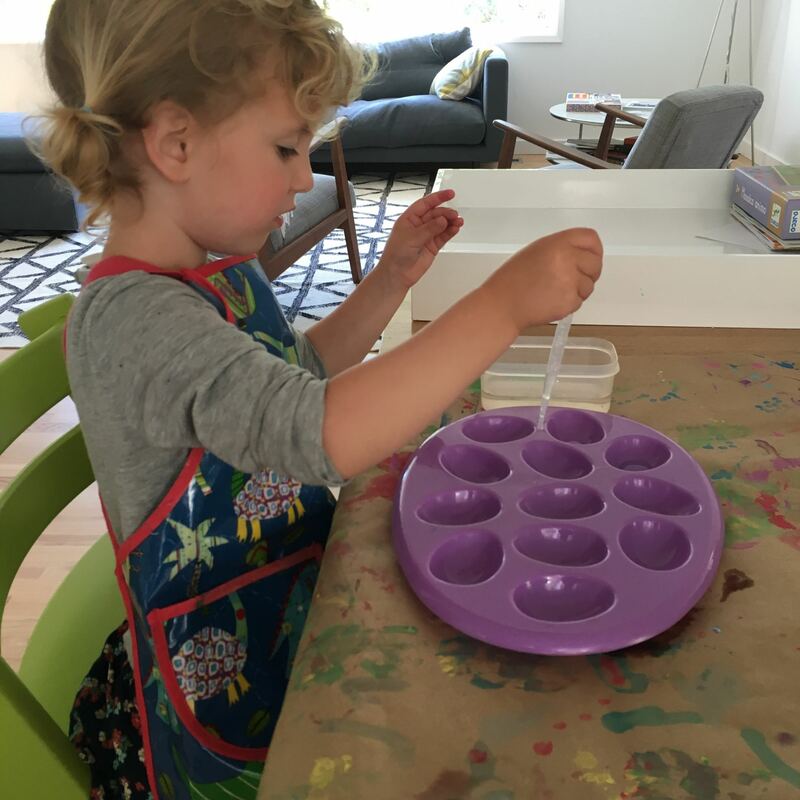 We used brushes and sponges for the artwork and then, with the leftover already-mixed paint in the tray, used a pipette to transfer the paint onto kitchen paper on a plate… my three year old was legit thrilled. 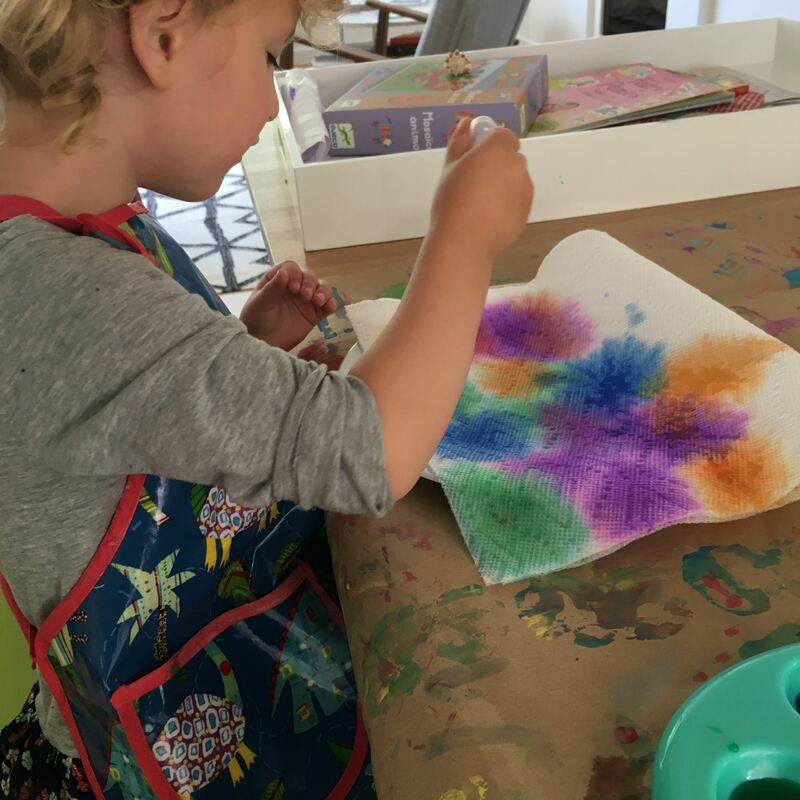 Pipettes are a nice Montessori-style fine motor skill tool… and this was a satisfying result, watching the colours spread through the kitchen paper. And not that this is a key element to a happy afternoon (it is) but this activity was very much conducive to my supervising whilst sat down with a cup of tea and a Hob Nob. Definite smug and lazy territory.